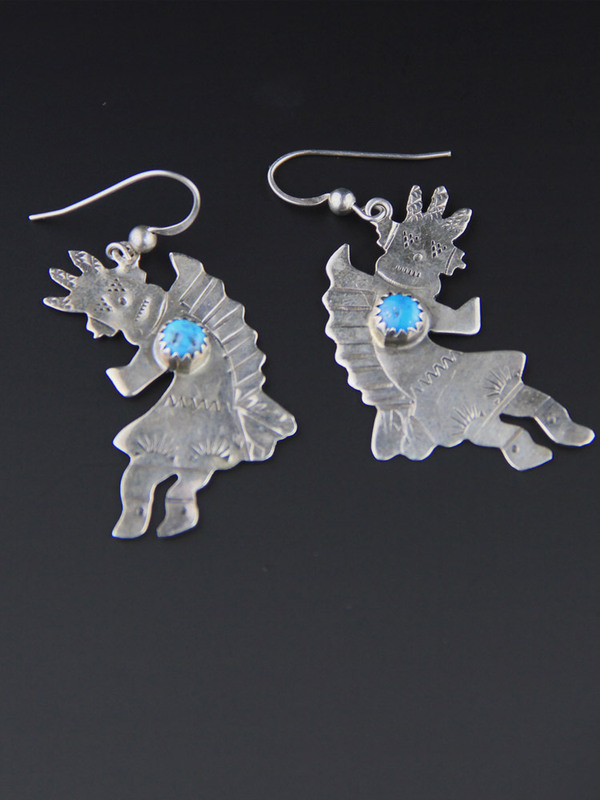 Handcrafted, Navajo Native American sterling silver earrings. 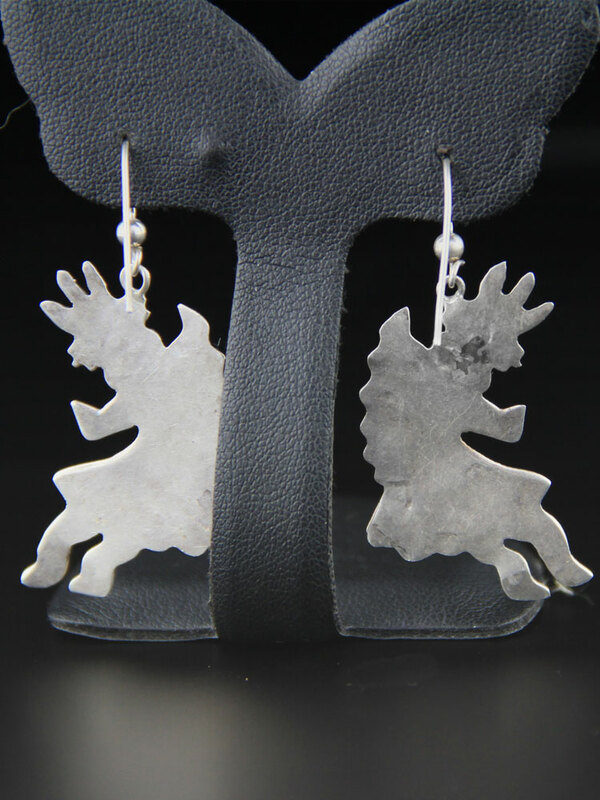 These are a lovely large earring (4cm tall) but light and easy to wear. 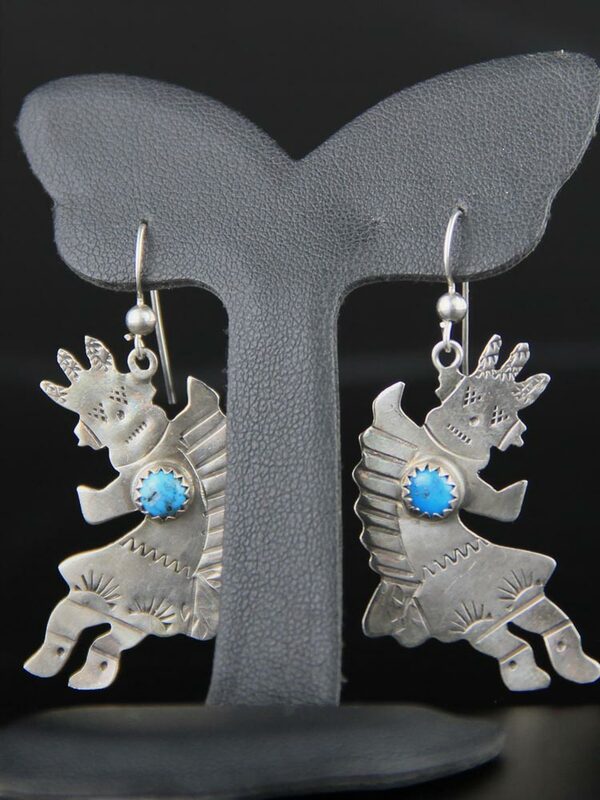 Little happy kachina dolls of stamped sterling silver with a sawtooth bezel set piece of turquoise at their centre -lovely statement earrings.